Today Apple seeded the fifth beta for iOS 9.3, OS X 10.11.4, tvOS 9.2 and watchOS 2.2 to developers. Apple seeded the fourth beta just one week ago, and the first beta was released on January 11.
iOS 9.3 Beta 5 fixed the Apple Watch notifications for third party apps, and in this new bata, Apple’s followed through on last week’s promise to repair the changes that had been made to the Apple Pencil’s input mechanics with the iPad Pro. iOS 9.3’s fifth beta is available now through the Apple Developer Center. It is also available as an over-the-air (OTA) update on devices that are running a previous beta. IMPORTANT Once you select the 9.3 Beta 5 .ipsw for your device you will see a download button mid page tap it. OS X 10.11.4 El Capitan beta 5, build 15E56a. It’s been a week since Apple seeded the fourth beta to developers, and just over five weeks since Apple seeded the first beta. The new software isn’t stocked with a plethora of new features, but it does bring support for Live Photos within the Messages app. It also supports more secure Notes. 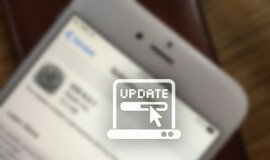 The update is available to all developers enrolled in the program Apple. If you do the latter, go into the Mac App Store in the appropriate section to download the update to Mac OS X 10.11.4 beta 5. Also in this update we find only small improvements in terms of stability, compatibility and security. tvOS 9.2 beta 5 carries the build number 13Y5220c, developers can download tvOS 9.2 beta 5 from the Apple Developer Center, but you need to connect your Apple TV to your computer with a USB-C to USB-A cable. watchOS 2.2 beta 5 doesn’t include any immediately noticeable user-facing improvements or feature additions compared to last beta release. 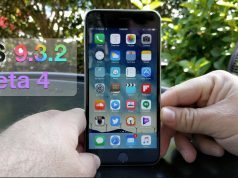 Like the recently released version of OS X and iOS, watchOS 2.2 beta 5 focuses predominately on improving and stabilizing the features that we’ve already seen. 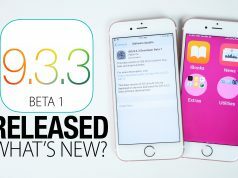 To download the new beta of watchOS 2.2, you’ll need to be running an iPhone with the new iOS 9.3 beta already installed. You’ll then open the dedicated Apple Watch app on the iPhone, head into General and tap on Software Update. The Apple Watch has to have at least 50 percent battery, has to be placed on the Apple Watch charger, and has to be in range of the iPhone equipped with iOS 9.3.